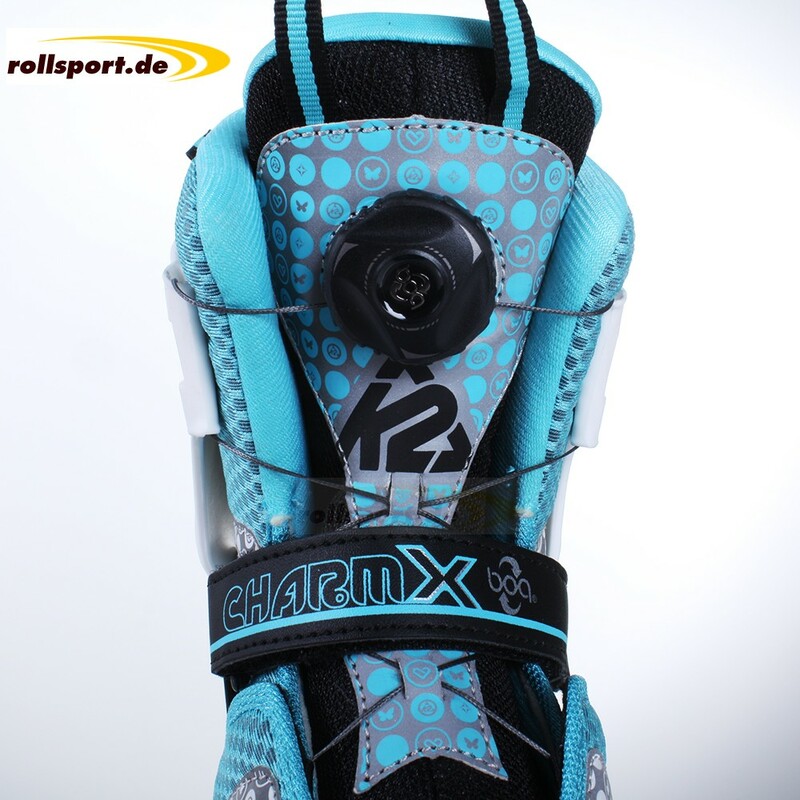 K2 Charm X Boa sky blue 2017 - the new girls inline skates are sky blue in 2017, have got the function of size adjustable up to 5 sizes, has got a Youth Hi-Lo Frame with 76 mm / 72 mm (4x 70 mm by size "s" 29 - 34), as same as a Boa lacing system connected on a K2 Soft boot liner. 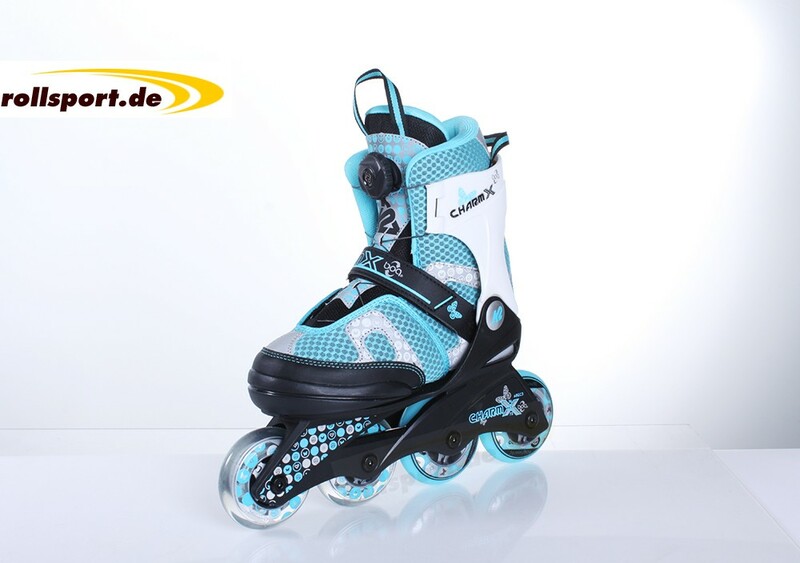 These new K2 Charm X Boa inline skats for girls were made as a modeled on the K2 Vo2 90 boa Women 2017. 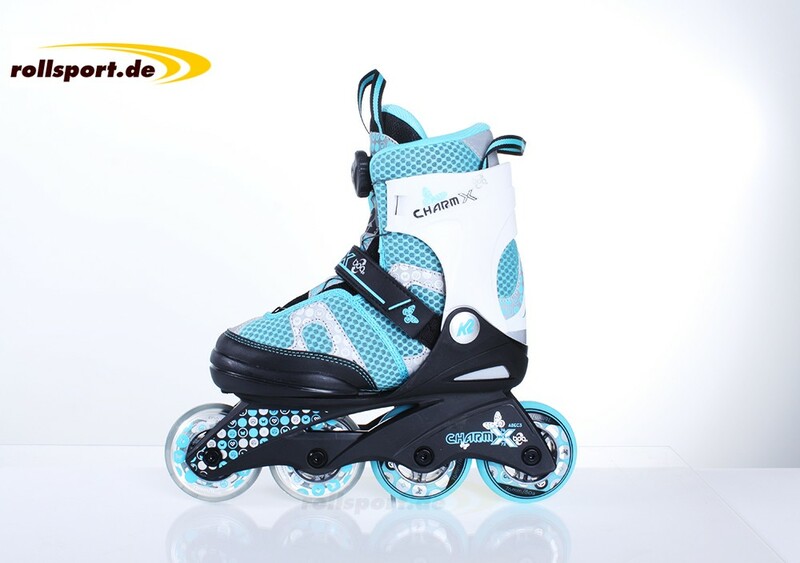 Now mother and daughter can go inline skating in the same colors. 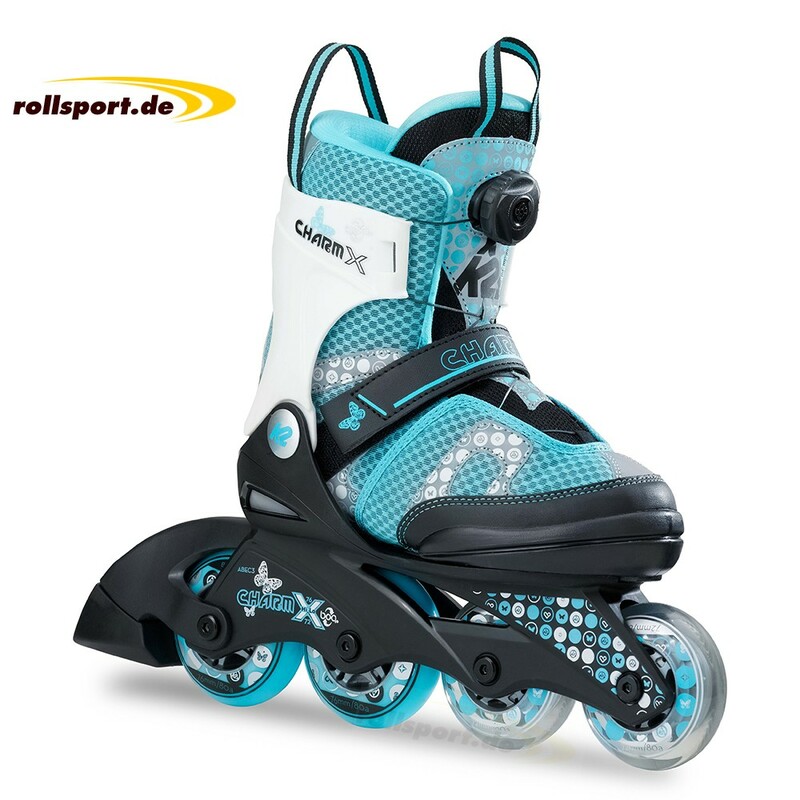 The K2 Charm Boa inline skates are with a Hi-Lo technology, with the two rear wheels larger than the front ones. This concept allows a low center of gravity and thus improves balance. The size of the skates can be adjusted by a simple button press by up to five sizes. The Boa closure system saves a lot of time and makes it easier for kids to put on the inline skates by them self without help of their parents.